Hi, Jesse! Thanks for stopping by my blog today. I’ve had a lot of readers asking about the person who is narrating The Blades of Acktar, so I’m glad you were willing to oblige them. Tell us a little about yourself. Anything you’d like to share with all The Blades of Acktar fans? Well, I was born in Salt Lake City, Utah to a family of artists. I went to the University of Utah for my undergraduate training. I worked with some wonderful teachers in the Actor Training Program. I had a stint in New York. Then worked as an assistant director in Asbury Park, New Jersey. I toured the country with a children’s show, Pippi Longstocking. I went to places I never thought I’d see. Then it was off to Milwaukee Repertory Theatre for an internship. There I got to work with incredibly passionate professionals. Graduate school in Sarasota Florida was the final stop for me before making my home in Chicago. I love it here. On the side I teach yoga, fitness, and spin classes. That keeps me in shape and confident in front of others. My real passion has always been acting. I’m glad I could find a creative outlet through working on audiobooks. Wow! You’ve sure traveled a lot! And it sounds like you definitely keep busy! What got you interested in narrating audiobooks? I’ve always loved and admired those that can tell a convincing story off the page. My mom used to read to me. She’d do all the voices and it was such a delight. She’d often record her reading so I could play it back when she wasn’t home. I listened to books on tape with my stepmom. Stephen King was our favorite. In undergrad I read a chapter of Harry Potter for a class on narration. Once I got to Chicago I was looking for work that would keep me creatively fulfilled. ACX came across my browser one day as I was searching for Voice-over work. In hindsight all my experiences with spoken word brought me to a new passion. I’m thankful that narration hooked me at such a young age. My dad read the Little House books to me when I was little. Perhaps someday I’ll have to have him record The Little House in the Big Woods just to hear him do Pa’s story voice again. I absolutely love your rendition of the characters’ voices, especially Shad’s and Lord Alistair’s. How do you go about deciding character voices when you produce an audiobook? I thought, oh my gosh, I have to create all these characters voices. I wanted them to be distinct regionally, since Tricia laid out such a detailed map. I felt like I was in Middle Earth! Shad came to me as I was working on a theatre show Fallen Angels. We chose to use RP or Received Pronunciation for our characters. It’s a heightened form of British. My character, Willy just fit with Shad. Since Shad and Lord Alistair are related I wanted to use the same sort of dialect for both of them. I used an aged British accent for Alistair. I think he sounds a lot like Ian McKellan, who is one of my idols. As for others, it comes to me intuitively as I read the book to myself. Some I just throw on there and see if they sound right. I wanted Renna to have a grounded voice, but still make it clear she was a female. It’s actually hard for me to do a woman’s voice and not sound canned or airy. She has to be a real person too. Well, your choice of voices for Lord Alistair and Shad was perfect! I think most male narrators have a hard time doing women’s voices, so I was rather happy with how well Renna and Brandi turned out. I’ve heard some audiobooks where the women sounds REALLY fake. What does your process for creating an audiobook look like? It took me over 85 hours to produce the first book. It was a lot of trial and error. I discovered so much about programs like Twisted Wave and Audacity. It took a lot of patience and time but I enjoyed the obstacles. They helped me grow. I record all the audio now, raw. Then I go back and take out long pauses. I send it off to the author and wait for their notes. Then on the second pass I read with the text next to me and find any mistakes with words, as well incorporate notes. While doing this I take out all the background noise, using a program called Audacity. Then I master the track. This involves normalizing; making all the sound levels the same, so the listener doesn’t have to ride the volume nob. I cut the peaks of the audio down to -3 decibel’s, otherwise you might lose your hearing on the louder parts of the audio. Then I send it off again and wait for the final approval from the author. I’ll make tweaks if need be then send off the final product for ACX approval. A number of my blog readers are also indie authors who might someday be looking for a narrator for their books. Where can they contact you? 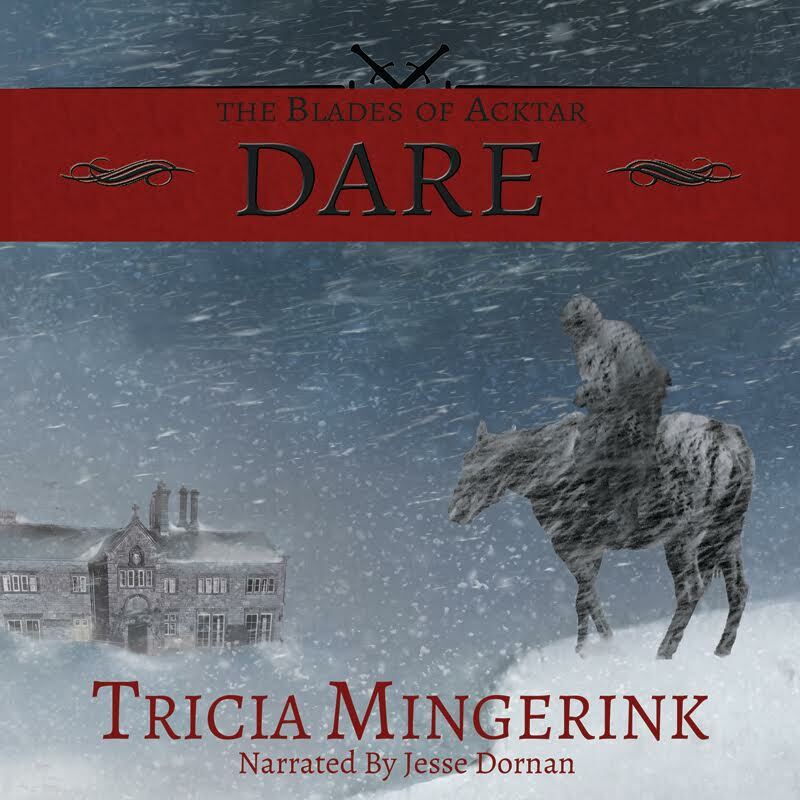 In case you haven’t done it yet, you can listen to a sample of Dare‘s audiobook here. Noel Young, Ariel Torres, Sierra Blasko, Rebekah, and Molly. I just sent you an email with your free audiobook code. Congrats to the winners and thanks to everyone for your enthusiasm! Previous Article Dare is now Available as an Audiobook! Great interview!! I really enjoyed reading the answers! Great interview, I really enjoyed reading it!